Sorry for the extra-long weekend delay. Sometimes rest helps the weary. When last we left the Top 100 Hong Kong Kong Films of the Eighties countdown, Sammo Hung and Chow Yun-Fat were neck-and-neck for the “Hong Kong artist with most films in this Top 100″ crown. Both are now tied at nine films apiece, including cameos, but Yuen Biao has now squeezed into second place at seven films! Do you think this countdown will go down to a three-way race between Chow Yun-Fat, Sammo Hung and Yuen Biao? Yes, maybe he’ll factor in at the end too. So, you’re looking at installment five in the Top 100 Hong Kong Movies of the Eighties, as decided upon by LoveHKFilm readers and other assorted individuals who have seen far too many movies. This entry covers numbers 30-21 so if you have not been paying attention, we suggest you head back to number 100 so as to not ruin the surprise and/or disappointment. We’re getting close to the end here, so rather than jibber-jabber anymore, we’ll just get to it. Jackie Chan’s third film series to take flight in the eighties, the ARMOUR OF GOD movies find Jackie aping Indiana Jones, complete with grave-robbing danger, globe-trotting adventure and gross misrepresentation of other cultures. 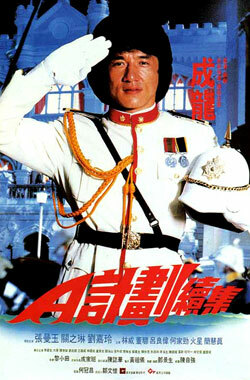 Sean calls ARMOUR OF GOD “Politically incorrect to a fault but the finale makes up for that with plenty of classic Jackie Chan moments.” Jackie worked so hard on ARMOUR OF GOD that he almost got himself killed! The outtakes show the infamous moment when a stunt went awry and Jackie busted his skull, resulting in surgery and a permanent hole in his cranium. Say what you want about his career downturn or offscreen issues, but few actors in Hong Kong or anywhere have risked life and limb quite like Jackie Chan - and he does it all to entertain us. That’s why the man is and will always be a film legend. For the love of all that is good in cinema, why can’t they make movies like SHANGHAI BLUES anymore? Tsui Hark’s screwball romance finds Kenny Bee and Sylvia Chang playing star-crossed lovers in 1940s Shanghai. The two previously met under a bridge during a 1937 bombing but lost track of each other. Years later they still think of one another, and coincidentally end up living in the same apartment building! However, the introduction of starry-eyed ingenue Sally Yeh may scuttle their fateful reunion. SHANGHAI BLUES is vintage Tsui Hark, mixing sitcom setups with historical references, nimble comedy, musical sequences, unabashed romanticism and a requisite scene where five people are hiding in a room but nobody knows that anyone else is there. This film is simply a joy to watch, and it’s tragic that good English-subtitled home video release is nearly impossible to find. Frankly, SHANGHAI BLUES could easily have ranked higher on this list. No Sammo Hung, no Yuen Biao, no problem. Says Aric Mannion, “I feel like Jackie always ups the ante with his sequels, and for that reason I enjoy them even more than the originals.” Aric has a defensible case with PROJECT A PART II, which follows Dragon Ma (Jackie) as he leaves behind the Coast Guard to become a cop, fighting corruption in old Canton while hanging with revolutionaries and dodging Manchu assassins and pirates. The lack of Sammo and Biao is offset by new cast members Rosamund Kwan, Carina Lau, Maggie Cheung, Ricky Hui plus more, and the sheer inventiveness of Jackie Chan’s action sequences - with their clever and breathless use of props and sets - makes this an absolute stunner of an action comedy. The Buster Keaton homage is just the capper. 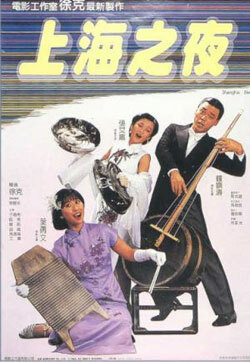 Clifton Ko directed CHICKEN AND DUCK TALK, but the creative force behind this classic comedy is undoubtedly Michael Hui. Hong Kong Cinema’s onetime King of Comedy Hui wrote and stars in this crowd-pleasing laffer about a roast duck restaurant owned by Hui that’s threatened by the opening of a fried chicken fast food joint. While full of the expected slapstick and comic overacting, CHICKEN AND DUCK TALK also satirizes Hong Kong people and society with sharp, caustic and also heartwarming observations. 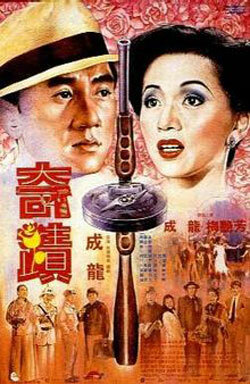 Jennifer Ng says, “Recently saw this movie again and fell in love with it all over again. CHICKEN AND DUCK TALK captures the Hong Kong’s small business entrepreneur spirit with heart and laughs.” Over 20 years later, the film seems even more relevant, as Hong Kong entrepreneurs are STILL cutting corners, picking fights and occasionally working together to earn a living. It’s just like the Internet. The third part of Ann Hui’s “Vietnam Trilogy”, following the television featurette BOY FROM VIETNAM and the Chow Yun-Fat starrer STORY OF WOO VIET, BOAT PEOPLE ranks as one of the most acclaimed films in Hong Cinema history. 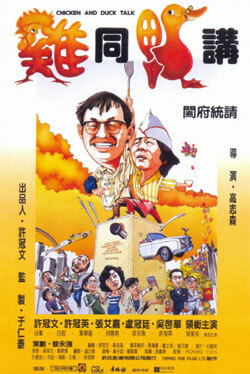 The film recently made the Hong Kong Film Archives 100 Must-See Hong Kong Movies list, and Time Out Hong Kong ranked it #2 on their list of the 100 Greatest Hong Kong Films. About a photojournalist (George Lam) visiting Vietnam in 1978 following the Fall of Saigon, the film reveals the plight of the “Boat People,” Vietnamese refugees in Hong Kong, by examining the tragic and brutal conditions that drive them to leave their homeland. 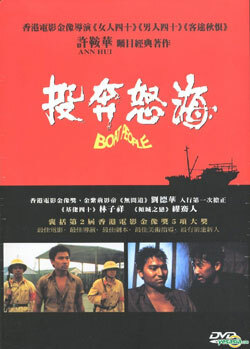 Adam DiPiazza says, “The final shot of the two young children on the boat, looking ahead into the future is one of the most memorable in cinema, period.” Winner of numerous Hong Kong Film Awards, including Best Picture and Best Director, BOAT PEOPLE is also notable as the first film appearance of a young actor named Andy Lau. Considered by some to be the last great Shaw Brothers kung-fu film, THE EIGHT DIAGRAM POLE FIGHTER is also notable as the final project of Alexander Fu Sheng, who died in a car accident during filming. The tragedy likely informed the resulting film, with the tone possessing a darker, bleaker edge than director Lau Kar-Leung’s other works. 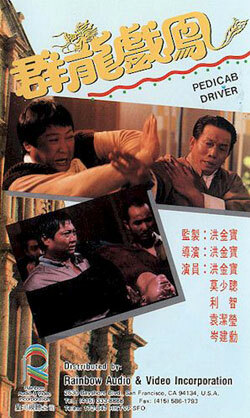 The fighting, however, is pure Lau Kar-Leung. Says Sean, “The final 20 minutes are not only some of the best fight choreography from a Shaw Brother film but just flat out some of the best ever.” Drawn from the stories of the famed Yang Clan, EIGHT DIAGRAM POLE FIGHTER details the betrayal of the Yang males as most are slaughtered by Mongol hordes, leaving only the Fifth Brother (Gordon Liu) and Sixth Brother (Alexander Fu) alive. Sixth Brother goes insane, and Fifth Brother retreats to train relentlessly in a Shaolin Temple, waiting for his final, furious vengeance. 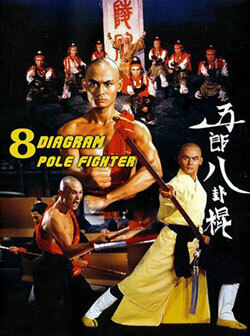 Also starring Lily Li and Kara Hui, EIGHT DIAGRAM POLE FIGHTER was not widely popular upon release, but has since gained a massive following both locally and abroad. Probably Jackie Chan’s most complete directorial work, MIRACLES a.k.a. 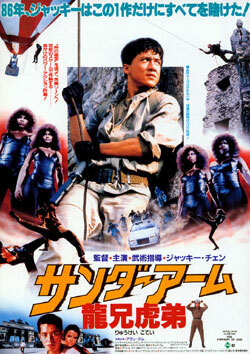 MR. CANTON AND LADY ROSE is more than a fine Jackie Chan film - it’s a fine film period. Grady Hendrix says that with MIRACLES, “Chan demonstrates just what kind of filmmaking he wants to do and it’s basically Cantonese Kubrick: long steadicam trawls through shimmering sets, deeply textured montages and sharp geometric compositions.” Juan gets even more effusive saying, “This homage to classic Hollywood cinema has all the staples of Jackie Chan’s movies, from the rags to riches storyline, to the non-stop comedy, crazy stuntwork and over-budget production! Jackie leads this massive production both behind and in front of the camera, proving he’s just as capable of managing the film’s lavish sets, beautiful camerawork and ensemble cast as he is dishing out the punishment.” Yeah, people like MIRACLES all right. And by the way, it co-stars Anita Mui. 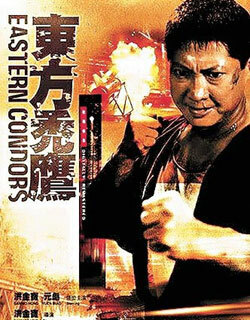 Sammo Hung scores again with action-war-ensemble flick EASTERN CONDORS, and people can’t help tripping over themselves to sing its praises. Phil Gillion says, “This is my fave movie from the eighties. It’s the Chinese DIRTY DOZEN with Kung-Fu.” Many cite the excellent cast, consisting of Sammo Hung, Yuen Biao, Joyce “Mrs. Sammo” Godenzi, Lam Ching-Ying, Yuen Wah, Corey Yuen - basically a group that Les Wong calls “almost everyone who was someone in HK action flicks.” The characters they play are iconic ones - especially Yuen Biao’s, whose first appearance in the film ranks among the best entrances by any character in Hong Kong Cinema history. Grady Hendrix takes the praise a step further, saying, “As MIRACLES is to Jackie Chan, EASTERN CONDORS is to Sammo Hung. Watching this movie with an audience you realize just how beautifully crafted it is, as setpiece builds on top of setpiece until a final blow out that pretty much marks the endpoint of what screen combat is capable of.” Apparently people REALLY like EASTERN CONDORS. Next time: Numbers 20-11 get revealed. We’re in the home stretch! Only 20 more movies to go, and they’re all super classics, especially HOW TO PICK UP GIRLS and I LOVE LOLANTO. You know those two fine classics of cinema will be showing up in the Top 10. 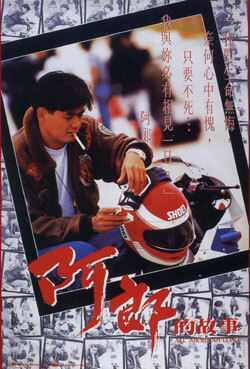 This entry was posted on Monday, March 19th, 2012 at 9:04 am	and is filed under Top Hong Kong Movies of the 80s, Reader Votes. You can follow any responses to this entry through the RSS 2.0 feed. You can skip to the end and leave a response. Pinging is currently not allowed. Left 20 movies to go. Will MR VAMPIRE or its sequels made into the list? All about ah long, Chicken and duck talk, pedicab driver already out. They are great movies. Too bad, they should be between Top 10-20. The rest of the lists are great. The only movie I haven’t seen is SHANGHAI BLUES. 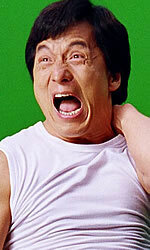 I knew that Jackie Chan flicks would just start coming in and comboing everyone! I voted for Boat People pretty high on my list so I’m gla it snuck in this high. I doubt there is any more To but I’m curious where As Tears Go By will end up. Eastern Condors, Miracles, The 8 Diagram Pole Fighter, Pedicab Driver, Project AII and Armour of God made the list! Woot Woot Woot Woot! That is all.